The Sigma 100HV has been specifically designed to meet IEEE1122 and IEC61083 standards for high voltage impulse applications. Includes four channels of 100 MS/s 12-bit digitizers per channel, 25 MHz bandwidth, 1 MegaWord memory per channel and an enhanced magnetically shielded RF enclosure. 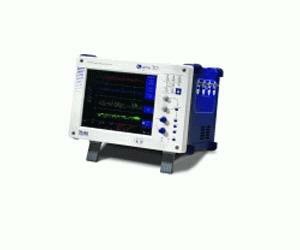 Optional Lightning Impulse Software performs transfer function and switching impulse analysis. Measures T1, T2, Up of lightning impulse waveforms to IEC 60, IEC 61083, IEEE 4, IEEE 1122, IEEE 1223 specifications.